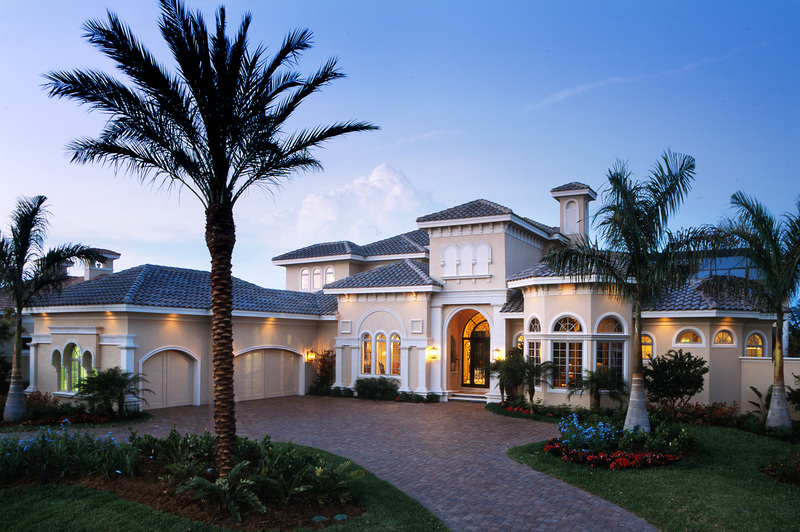 Styles featured by Keevan Homes range from Mediterranean to Contemporary to Old Florida architecture, always revealing a sophisticated and luxuriously fresh approach to design. 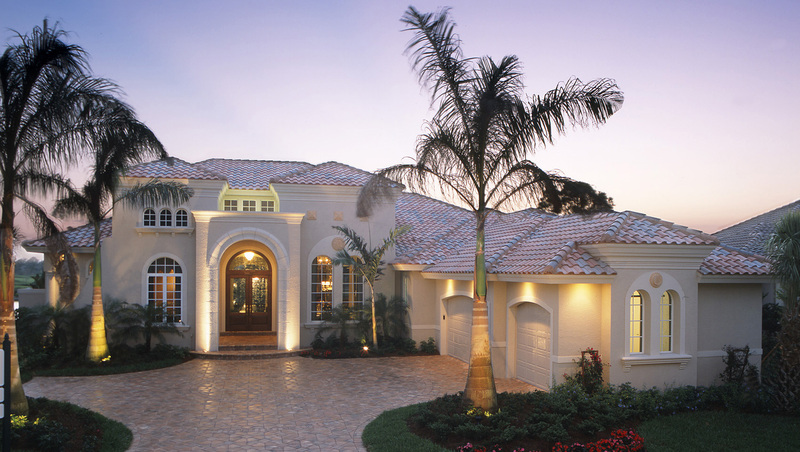 Incorporating the Florida lifestyle in their designs is a key creative objective. 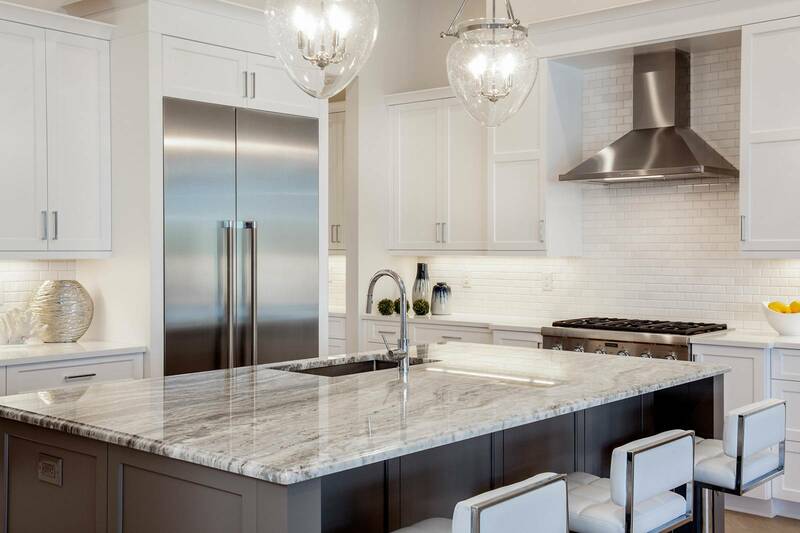 With the emphasis on detail, their homes reflect timeless inspiration and classic styling expressed in the architectural design and materials featured in each residence. Lavish, open and inviting, describe the magnificent custom interiors of a Keevan home, the perfect setting for endless entertaining as well as quiet spacious retreats. 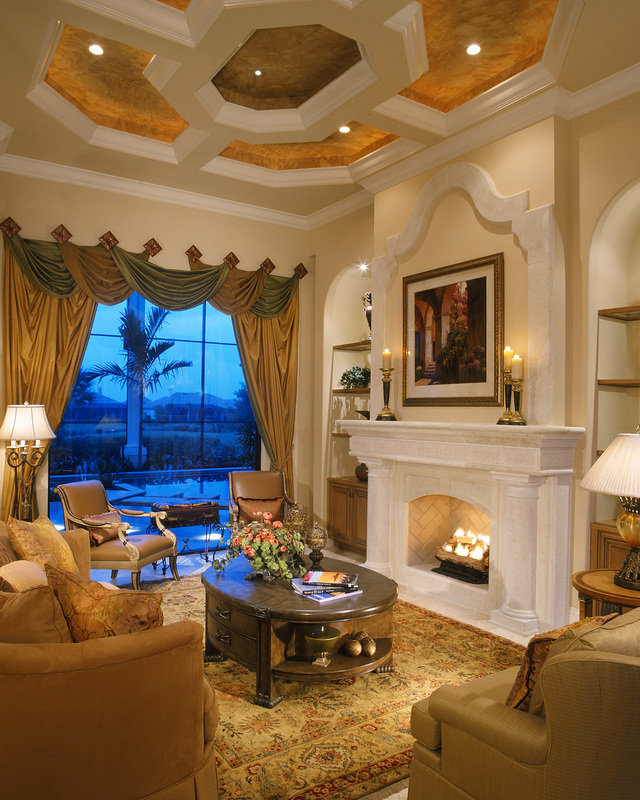 Living areas reflect many memory features in the custom details with the expansive tray and coffered ceilings, custom moldings, oversized kitchens, intricate tiles, elegant stone and marble tops, and more. 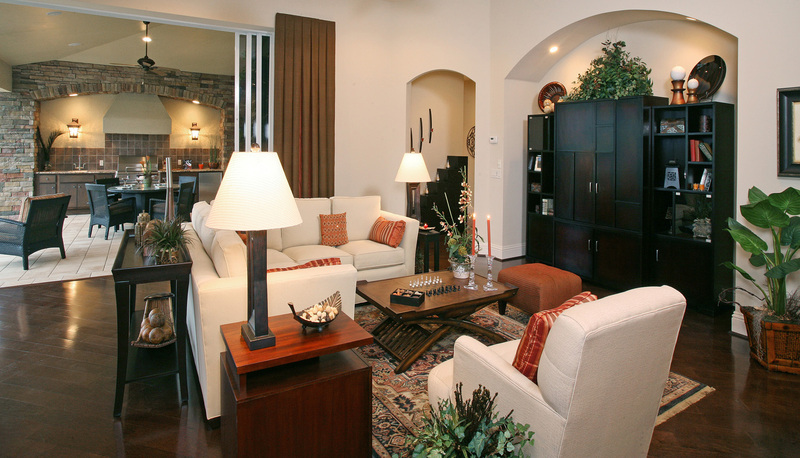 Consistently combing unique features which capitalize on entertainment appeal; Keevan Homes delivers an environment in which their clients will proudly welcome family and friends. 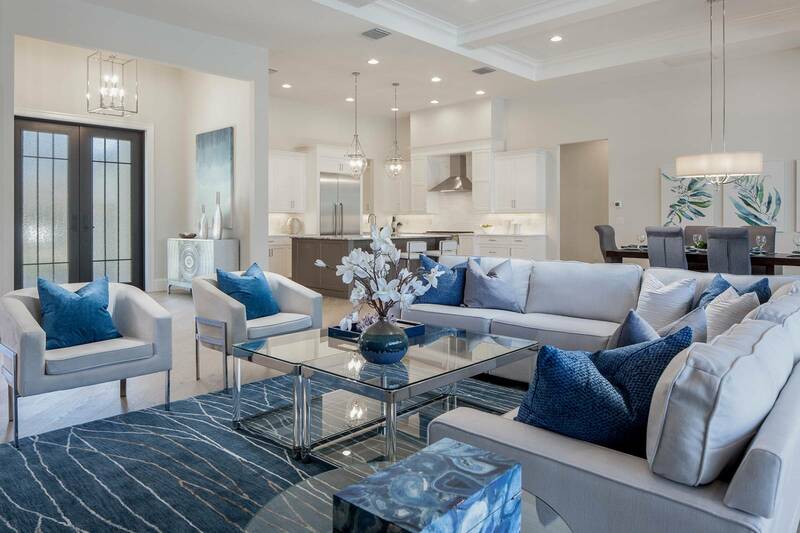 The Grand Cayman II offers expansive open spaces, impressive architectural details with exceptional outdoor living for you to savor the Southwest Florida lifestyle. 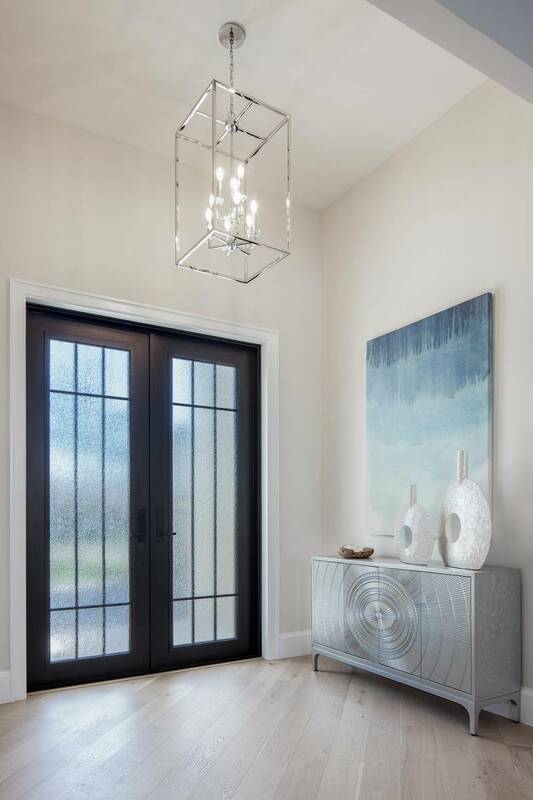 Elegant finishes and attention to detail are featured throughout this three-bedroom, three and a half bath 2,742 square foot under conditioned air great room home. Include the covered entry, three car garage and sprawling lanai and the total square footage under roof increases to 4,726. 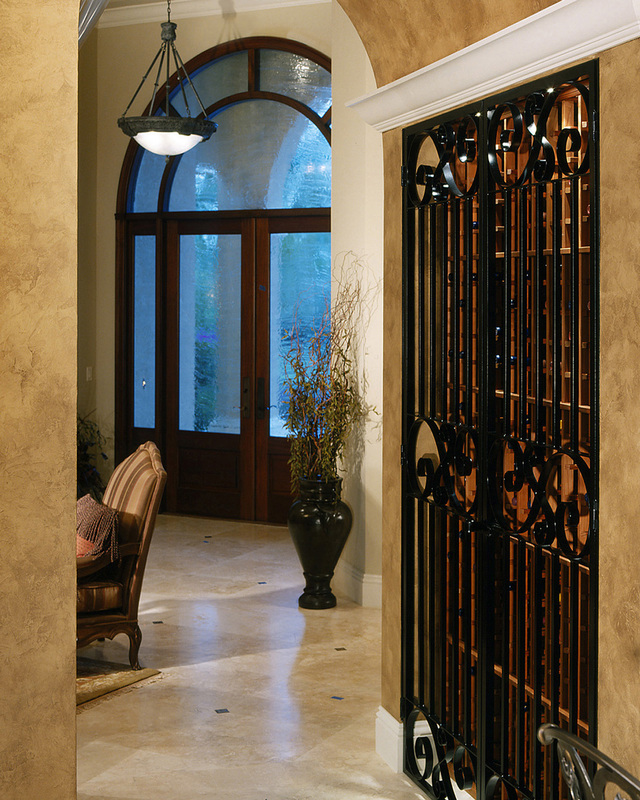 This residence will captivate you the moment you walk through the custom hand-forged iron front doors with its clean architectural details and designer finishes. Effortless entertaining is yours with a gourmet kitchen which includes custom wood-paneled cabinetry, a generous sized island with plenty of room for seating, 6-burner gas cooktop and a stainless-steel double oven stack, along with a separate butler’s pantry for extra workspace and storage. The master suite has sweeping views of the pool, lanai, and beautiful natural environment through large picture windows. 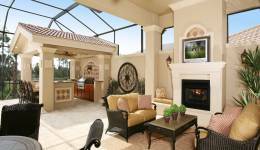 A private access French door makes for a convenient path to the covered lanai. With plenty of natural light, the master bath is well appointed with dual vanities, a spacious walk-in shower, a freestanding soaking tub with a floor mounted tub filler, and a separate water closet room. Relax and enjoy sunsets with breathtaking views from the expansive 3,846 square foot outdoor living space ideal for dining and entertaining. 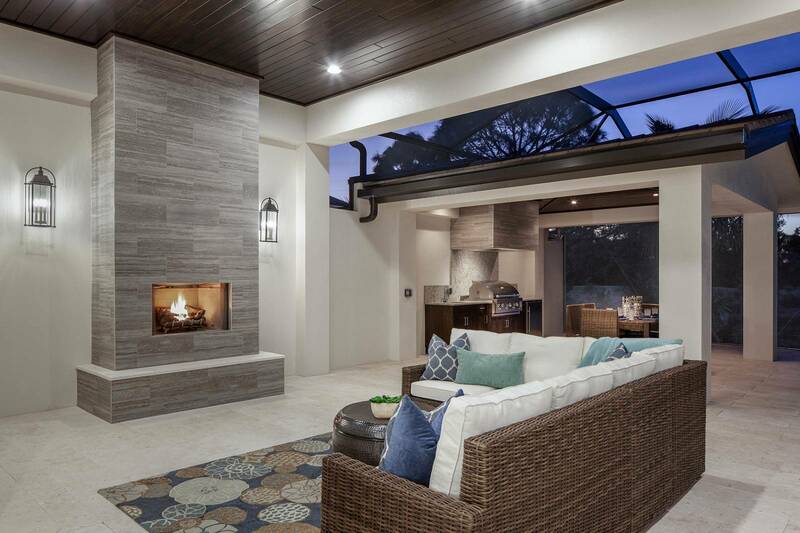 The covered living area includes a custom built-in fireplace, stained tongue and groove cypress ceilings, and enough room for two separate seating and dining areas. 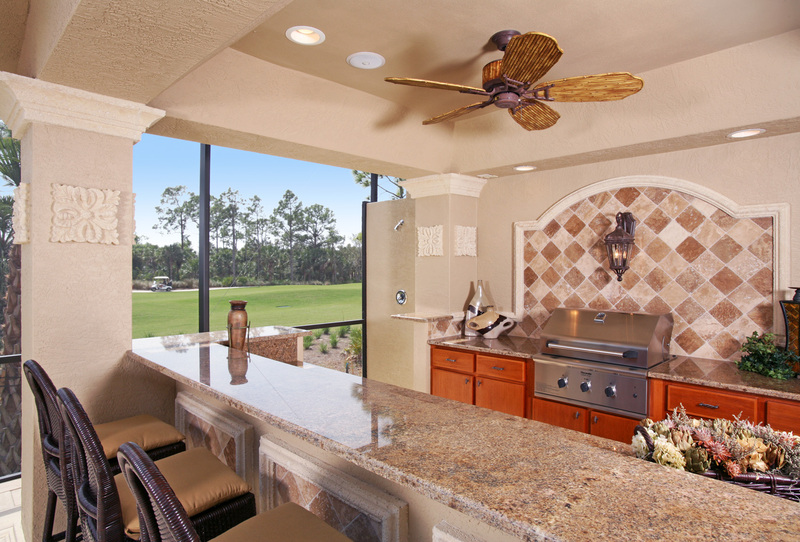 Just beyond is a separate gazebo, complete with a summer kitchen, perfect for your grilling needs which overlooks a large private pool and spa. 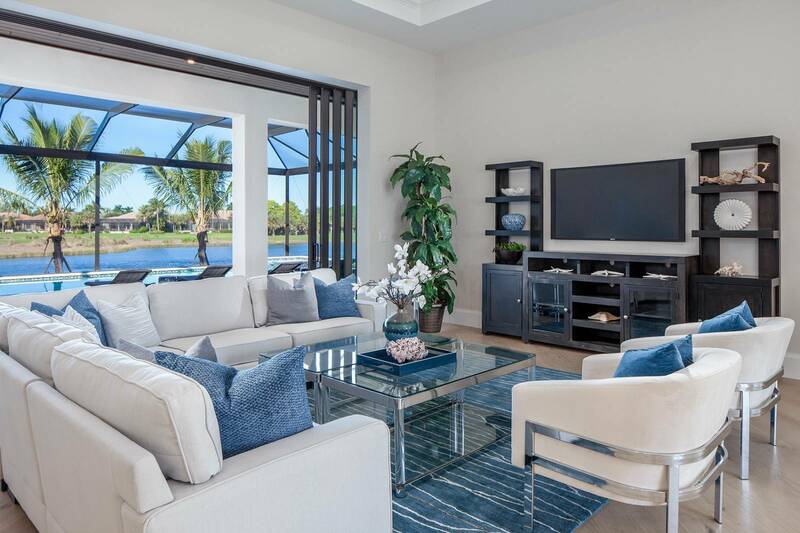 This all sits within a 1,900 square foot screened enclosure with wide “picture-window” screen panes allowing for unobstructed views straight through to the lake and golf course. 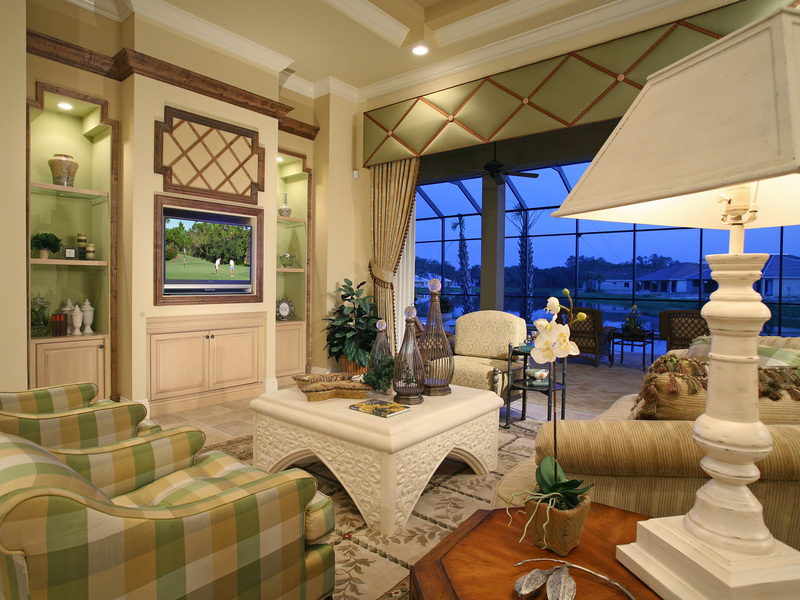 The Cay Sal model is an extravagant custom home with 5,181 square feet of living area and 8,059 total square feet. 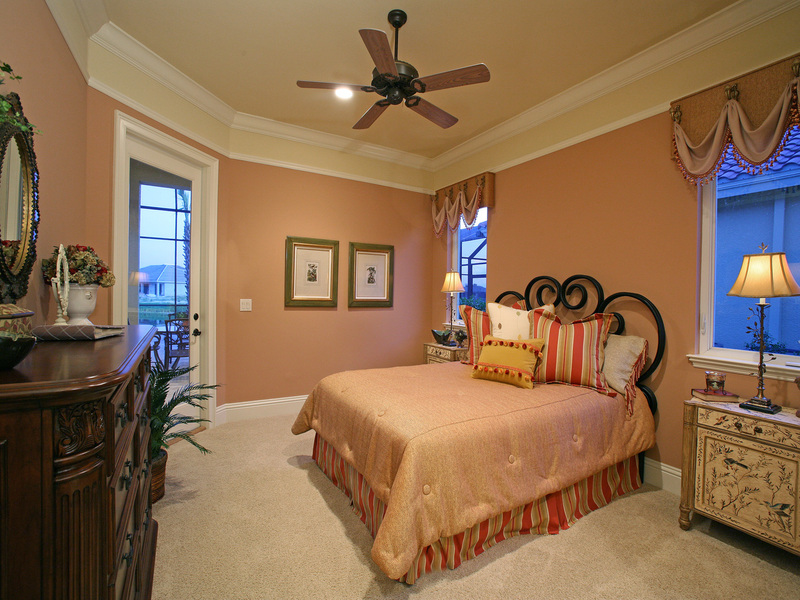 It offers two floors of opulent space with a master suite on each floor. The luxury is carried outside with three separate verandas and an outdoor seating area complete with a fireplace and a summer kitchen. 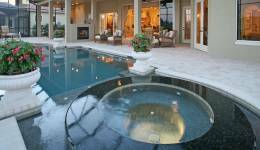 All of this surrounds a custom pool and spa. 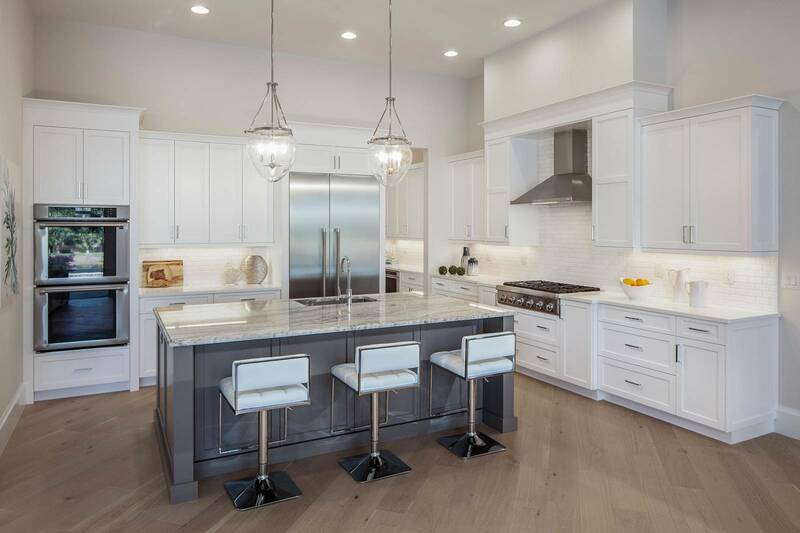 The first floor features an oversized kitchen complete with commercial appliances and a large center food preparation island. A step down wet-bar opens to the formal living room with access to the formal dining room capitalizing on the entertainment appeal. 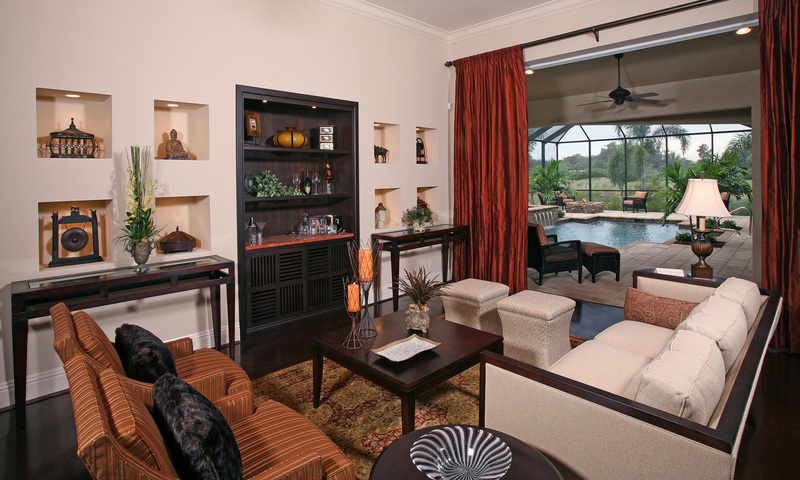 Ninety-degree zero-edge sliding glass doors in the family room open to the outdoor seating area. 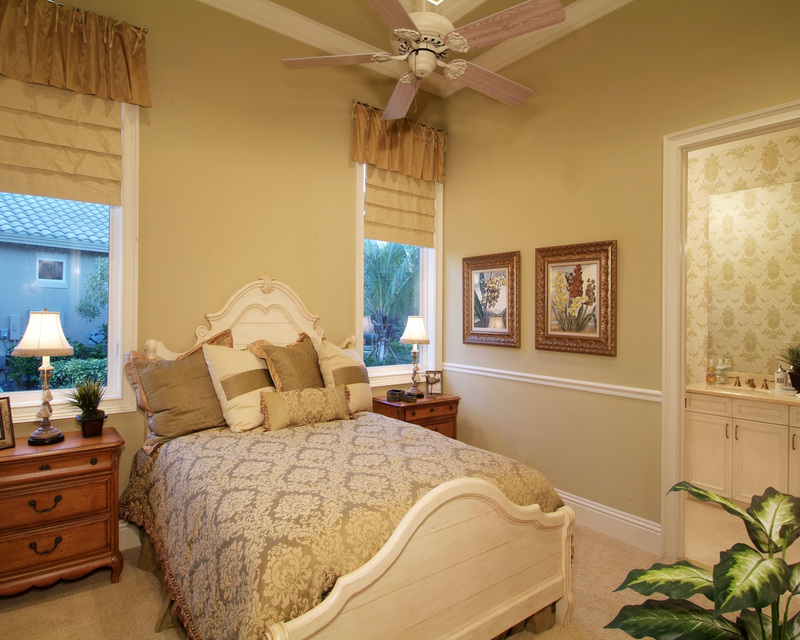 Other rooms include a study, powder bath, guest suite with a pool bath and a large efficient laundry room. The first floor master suite is indeed a haven with a spacious suite and a separate retreat featuring a morning kitchen. The master bath contains his and hers water closets and oversized walk-in closets as well as an enormous shower and jetted Roman tub. 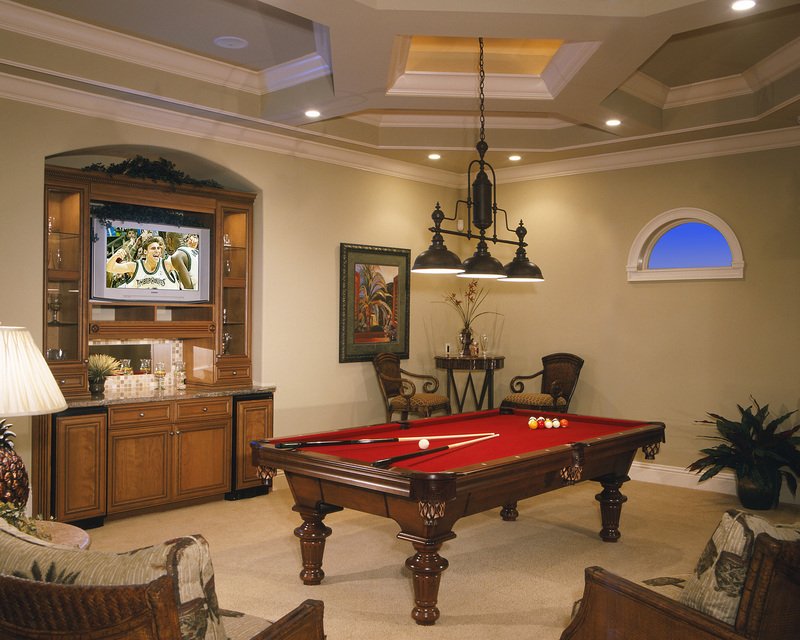 The special feature of the second floor is the billiards room which is open to the leisure room below. Also featured upstairs is a second master and guest suite with baths attached each having access to a balcony overlooking the pool and spa area. Lavish, open, inviting, all describe this magnificent home that provides the perfect setting for endless entertaining as well as quiet spacious retreats. 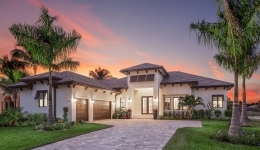 Keevan Homes’ St. Croix embraces outdoor living with a large lanai offering an expansive al fresco living area and views oriented to a firepit and custom pool with spa. Front and rear verandahs, mitered glass, sliding doors, bay and oversized windows visually expand interior spaces and add to the home’s indoor-outdoor emphasis. The three-bedroom, three-and-one-half-bath, 3,507 square foot Saint Croix offers living space including a dining room, living room, family room, study and a computer center located in the wing that serves the two guest suites. 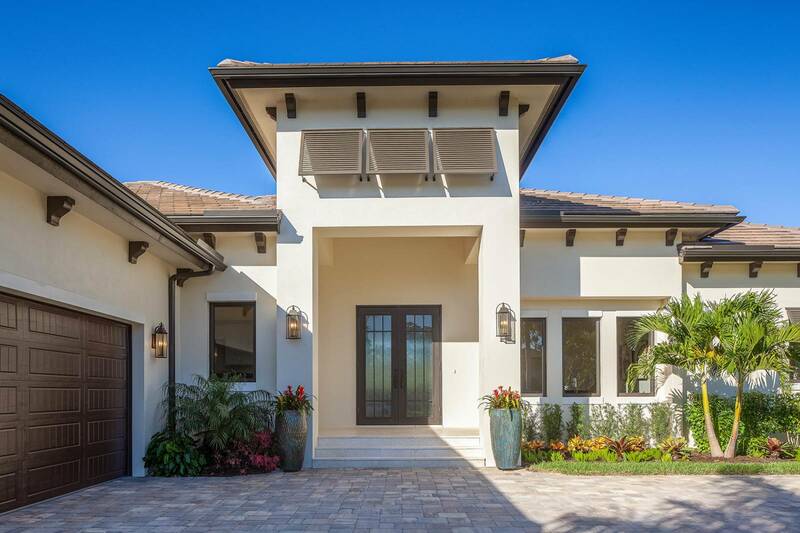 The verandahs, three-car garage and porte-cochere add more than 2,000 square feet, bringing the model’s total square footage to 5,844. The front verandah wraps around the study, extending from the front porch to the dining room, with French door access provided from both rooms. Sliding glass doors in the living room open to the rear verandah and provide views of the pool, stepped spa and the scenery beyond. 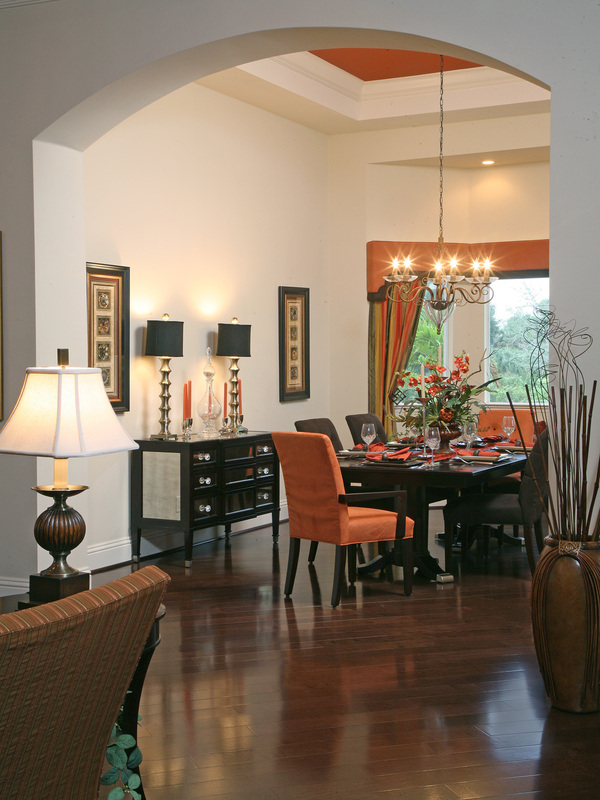 Bayed areas are found in both the dining room and master suite. 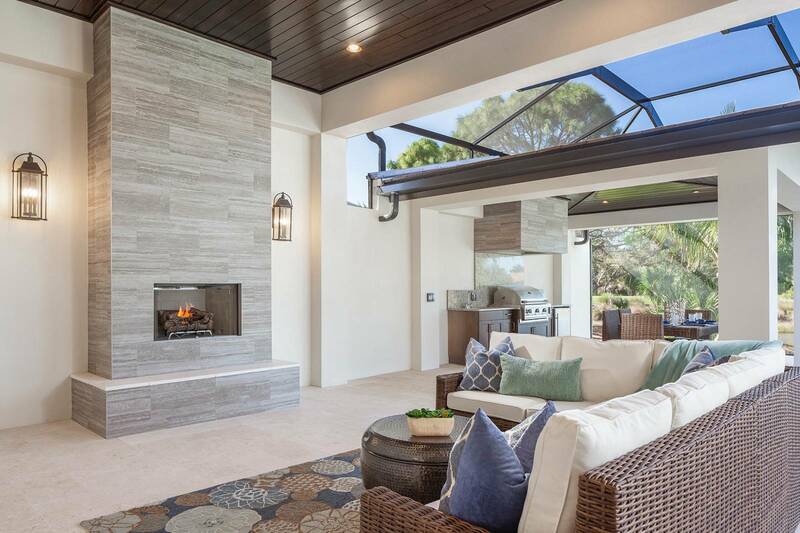 A dramatic set of disappearing-corner sliding glass doors comprising the rear family room wall enhance the outdoor entertainment experience by removing all barriers between the inside and outside living areas. The adjoining kitchen has a walk-in pantry and center island, a breakfast high-bar with sink, plus a large window that offers natural light. The rear verandah has a summer kitchen and walk-up bar. The master suite occupies the entire wing to the left of the living room and features bay windows overlooking the pool, his-and-her walk-in closets and double French doors to the pool area. 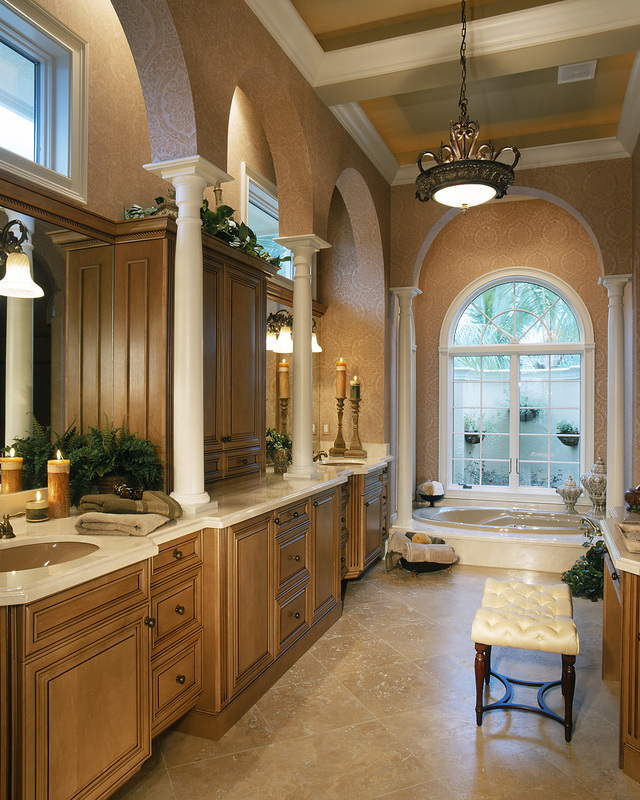 The master bath has his-and-her vanities as well as a separate jetted tub and walk around shower. 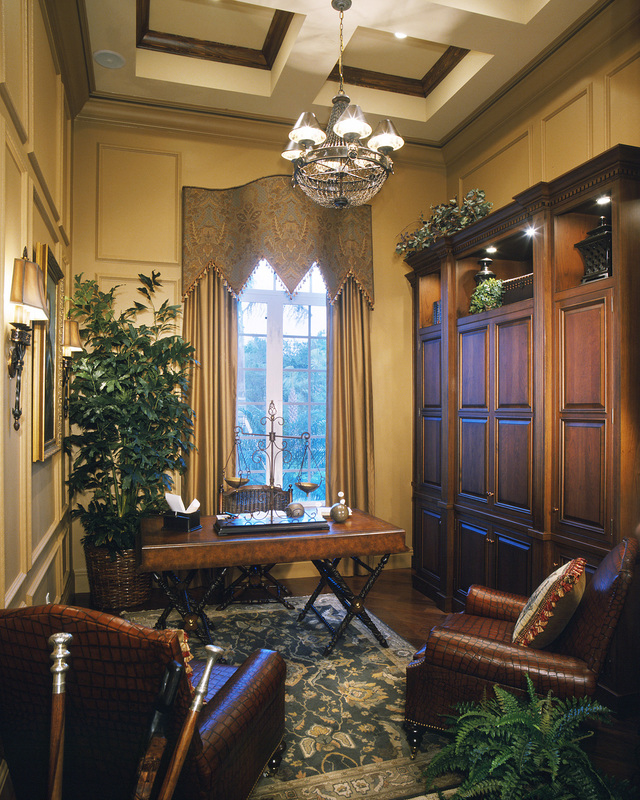 Both of the guest suites feature a walk-in closet and private full bath. 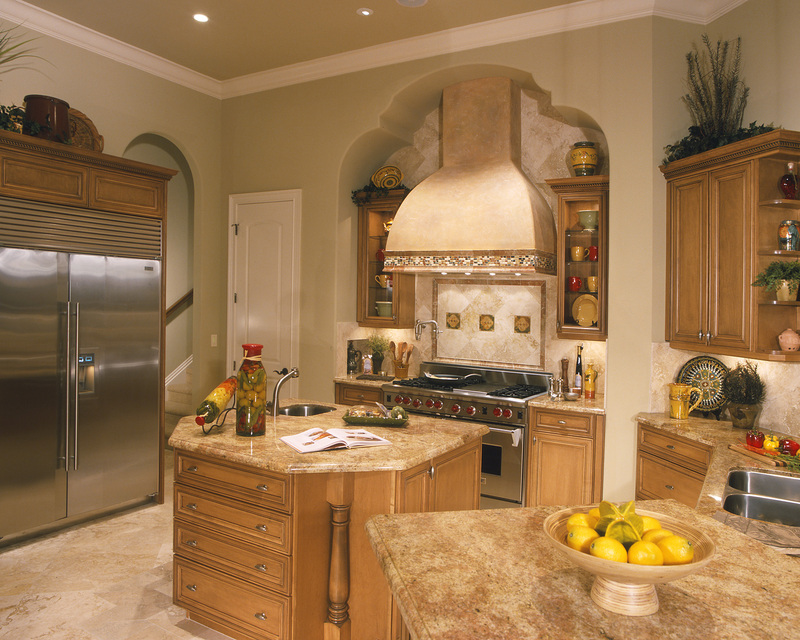 The Santa Maria Model is a fresh new approach to Tuscan design. Its timeless inspiration and classical styling are expressed in the architectural design and fine materials, finishes and textures. You are welcomed into this home with its three bedrooms and study having 3,232 square feet of living area and 5,097 square feet over all. 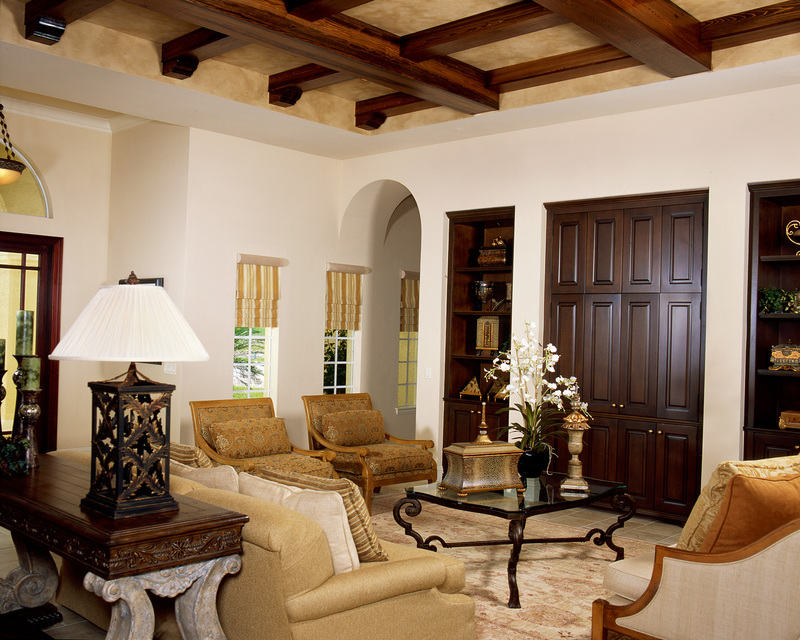 The tray ceiling in the generously sized great room boasts hand hewn cypress beams with custom made corbels. While you want to feast your eyes on the scrumptious details that surround you, you can’t help noticing the gazebo with fireplace and infinity edge pool that beckon you outdoors. 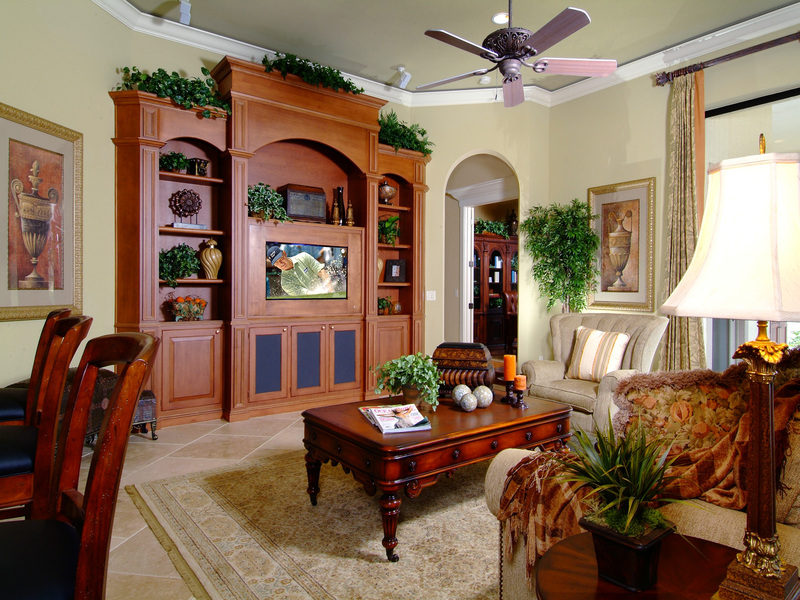 The Santa Maria is a casual elegant yet inviting feel. 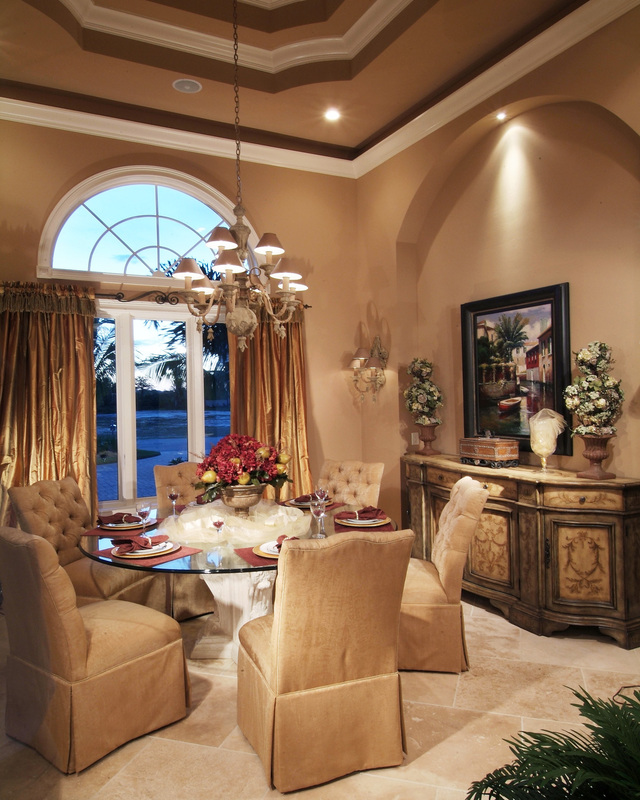 The formal dining room is quite the size, the perfect place for those large family gatherings in your Florida home. The kitchen and breakfast cafe flow nicely for entertaining. 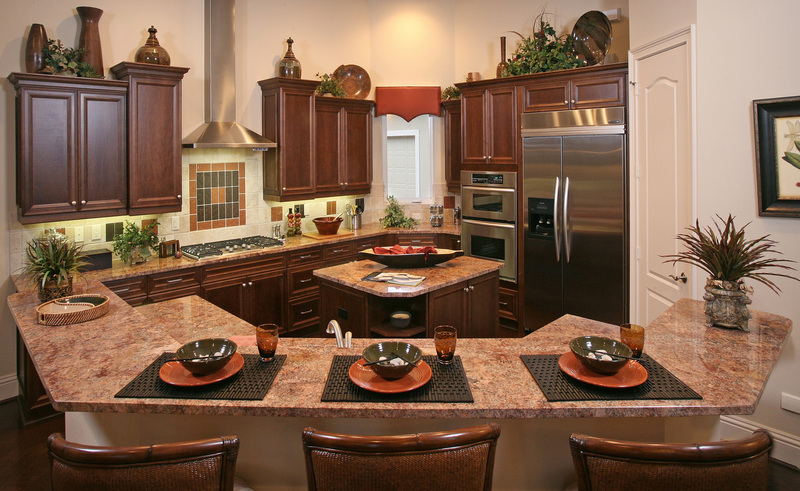 Extensive cabinetry, an area for the wine enthusiast, center food preparation island, granite tops and backsplash make this kitchen a warm place to create fabulous meals for friends and family. The welcome surprise of the home is the study, located in the rear of the home, and looks onto the best feature…the incredible veranda. 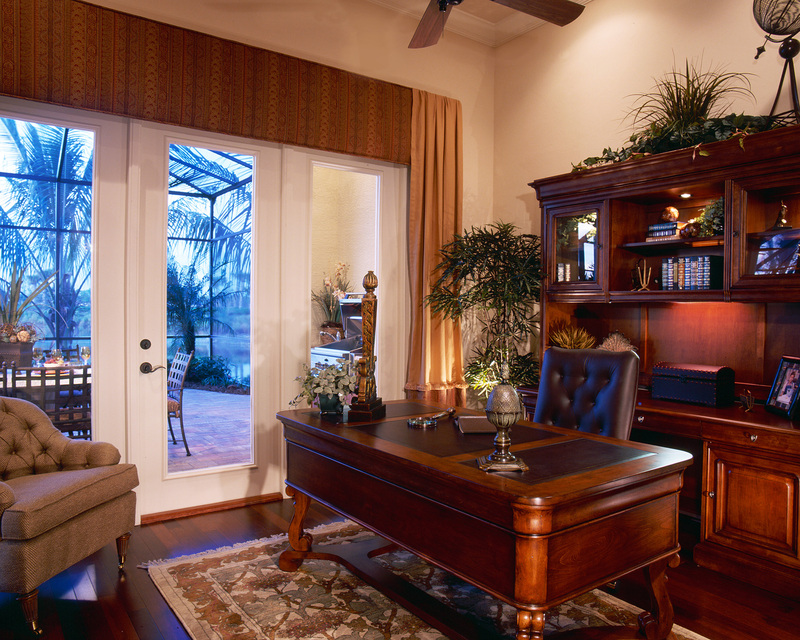 You can keep an eye on your guests from the study, a perfect home office, as they warm themselves around the fireplace in the cozy seating area of the gazebo or laze in the private sun catcher in the pool. As you are led through the barrel arch into the master suite, you can’t help but notice the tranquil view out the picture window. 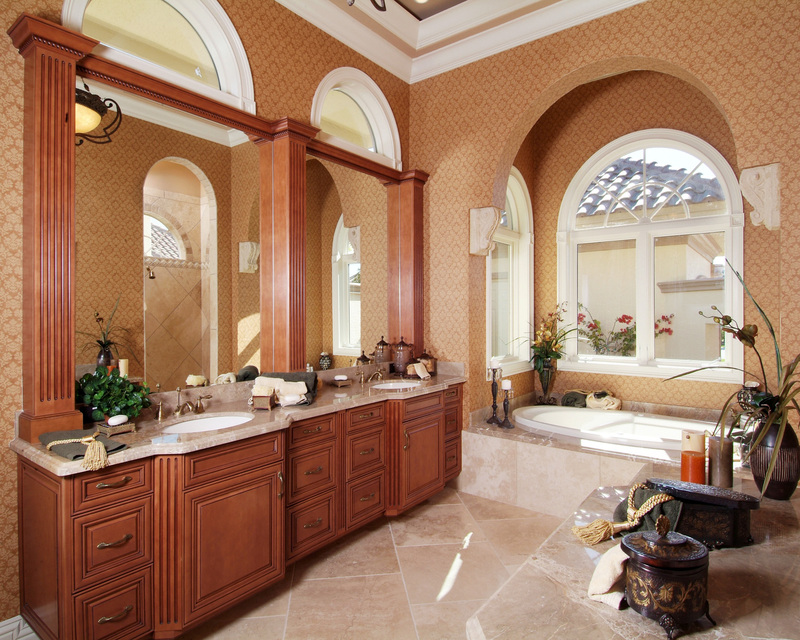 Your sense of romance is awakened as you enter yet another memory feature of this home, the master bath. You are surrounded by custom cabinetry, elegant marble tops, a soaking tub and dual entry shower, truly an atmosphere of romance. 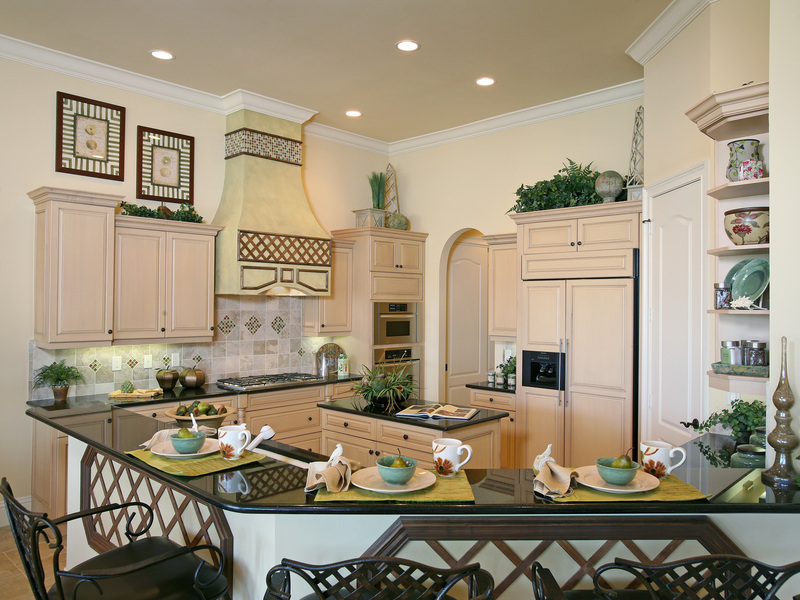 Experience The Santa Maria by Keevan Homes, without question, Florida living at its best! 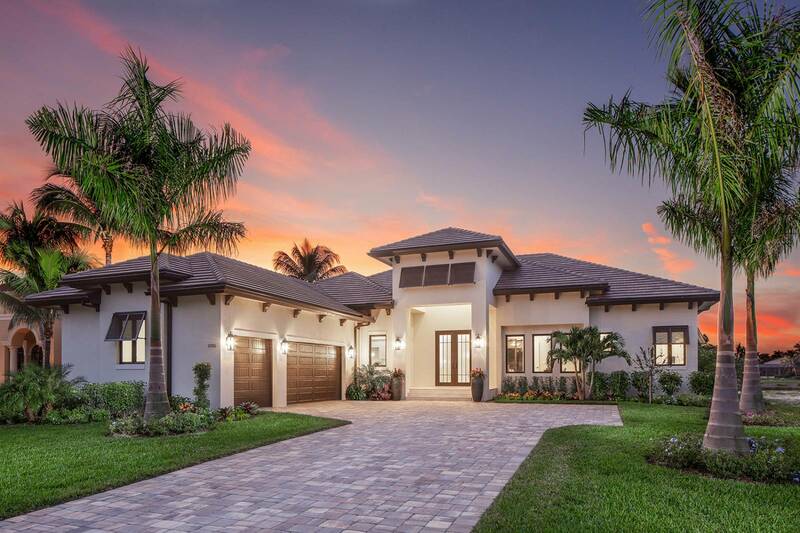 The Grand Abaco Model is an outstanding blend of European and Mediterranean influences, both in architectural and interior appointments. The home features an elegant and sophisticated interior, with marble floors, soaring ceilings, and intricate details throughout. 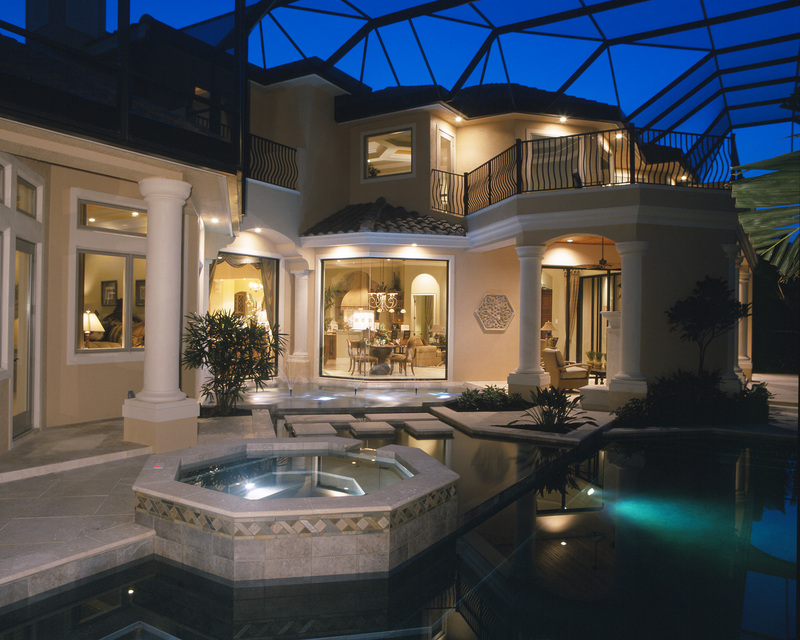 European influences are seen in the interior architecture which is reminiscent of European estate homes, with a grand foyer and living room, overlooking the pool area. 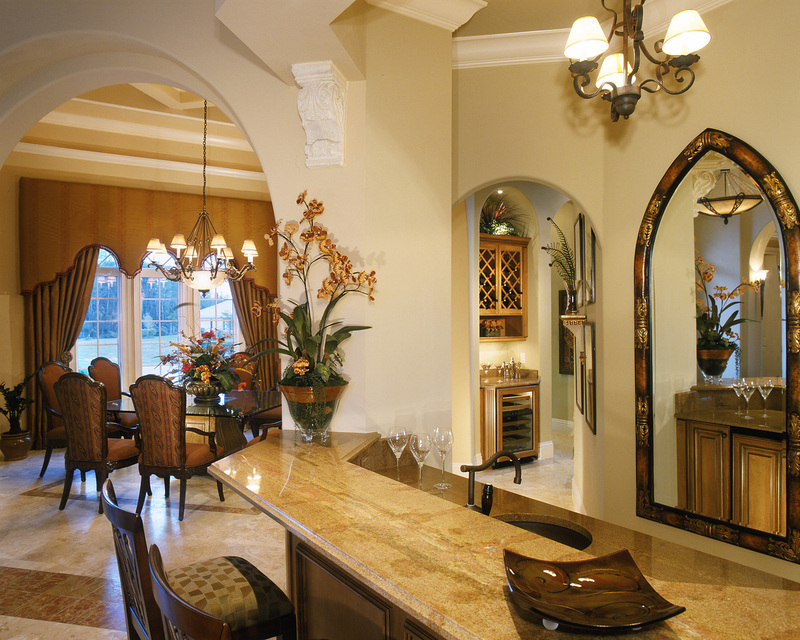 A custom designed bar has been incorporated making the entire living and dining area an intimate area for entertaining. 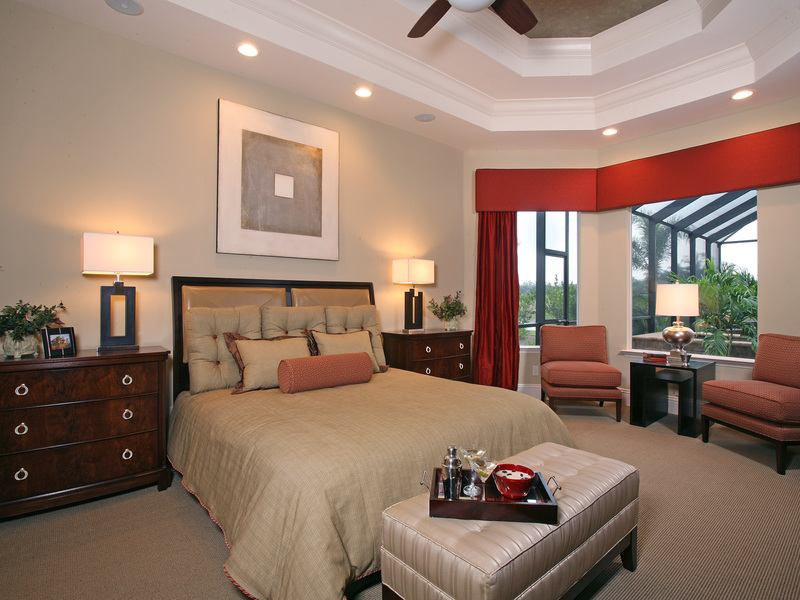 The Grand Abaco is a luxurious model with 4,262 square feet of living area and 6,722 total square feet. 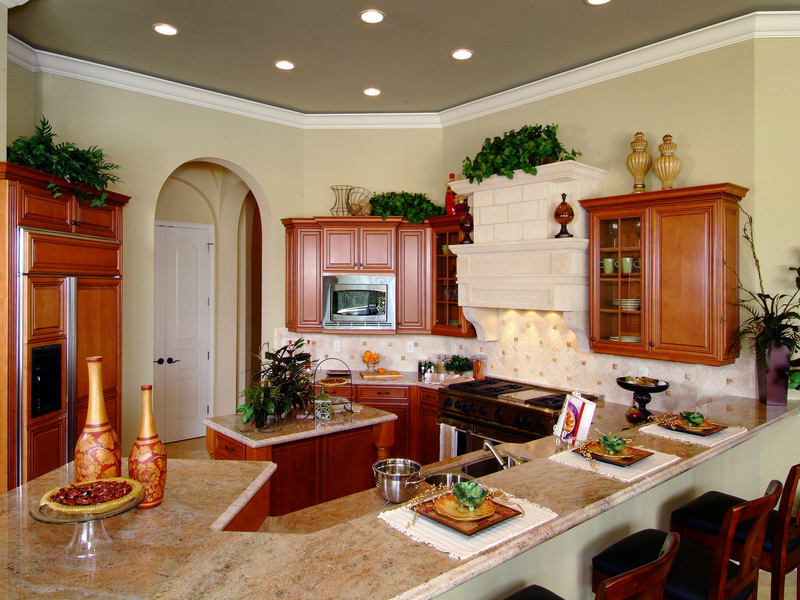 The flavor of the European estate home continues into the family room, kitchen and breakfast area and is open and spacious. 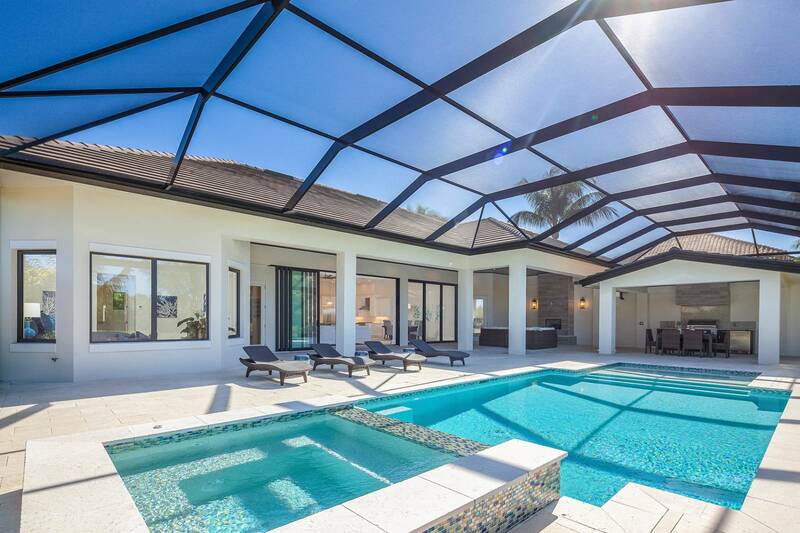 The ambiance is casual and comfortable, with generous amounts of natural light from the expansive glass sliders, which lead to an outdoor entertaining and pool area, complete with summer kitchen. The large Master Suite is designed to be the homeowner’s private retreat and spans the entire length of the home from front to back. 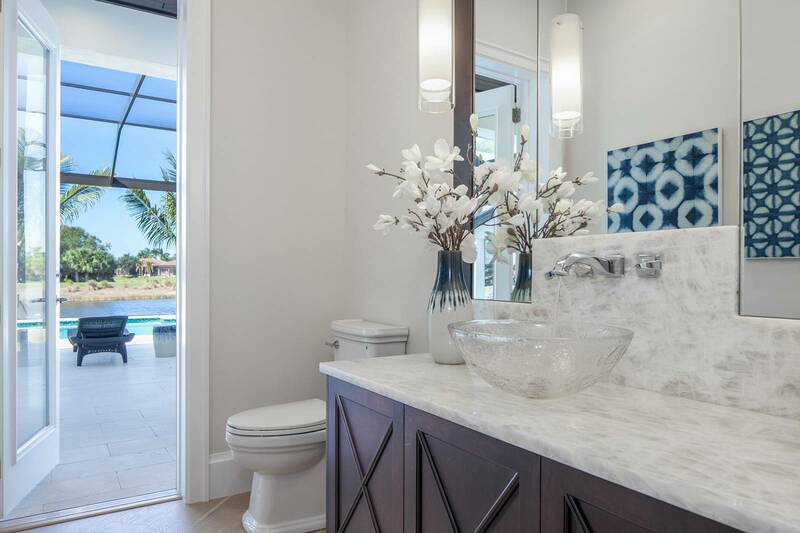 The adjoining master bath, a retreat itself opens on to a private courtyard, offers custom cabinetry with marble tops, a sunken tub and an oversized shower. 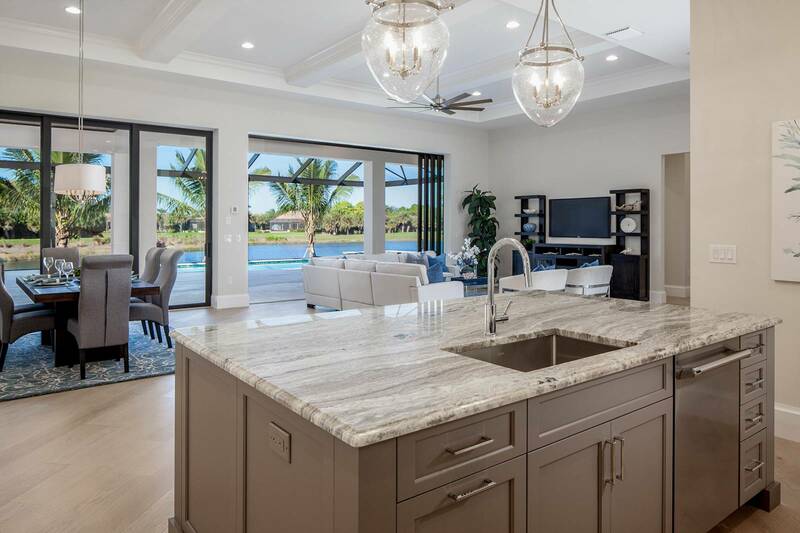 The highlight of the home is the upstairs suite, which has been designed to be an upscale game room and private entertainment area, opening on to a second level covered lanai. There is also a custom designed wet bar, complete with wine storage, which transitions the main game room to a more private and intimate guest suite. 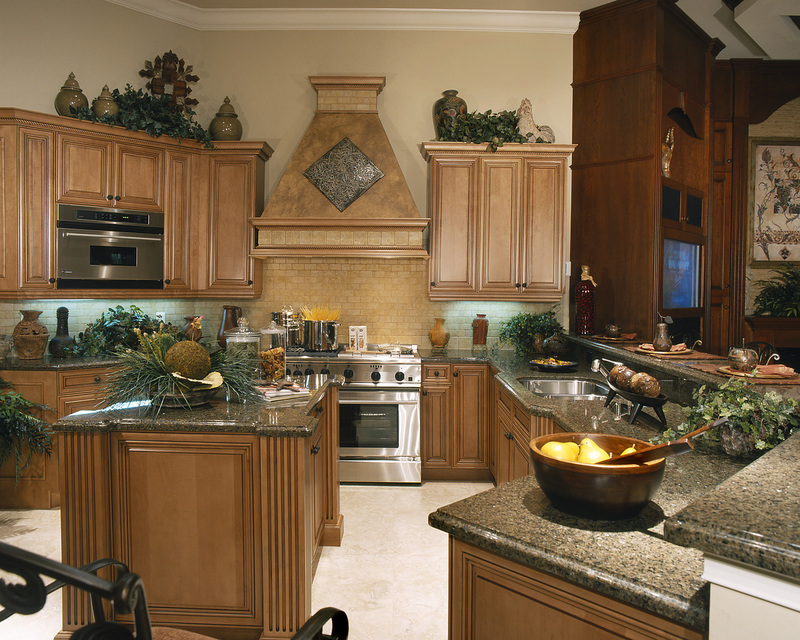 The Grand Abaco Model is designed to be elegant and stately with a touch of casual Easy living style owners appreciate. The Grand Cayman boasts impressive architectural details from intricate niches to interesting coffered ceilings, and is aimed to charm seasonal and full-time residents seeking a relaxed lifestyle. The three-bedroom, three-and-one-half-bath 2,742 square foot home features a stylish yet casual feeling maximizing panoramic views while allowing the tranquility of the outdoors to be captured. 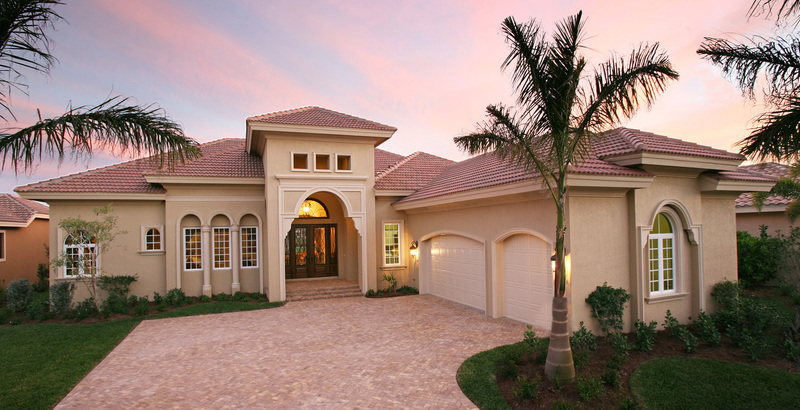 The entry, three-car garage and over-sized lanai bring the model’s total square footage to 4,366. 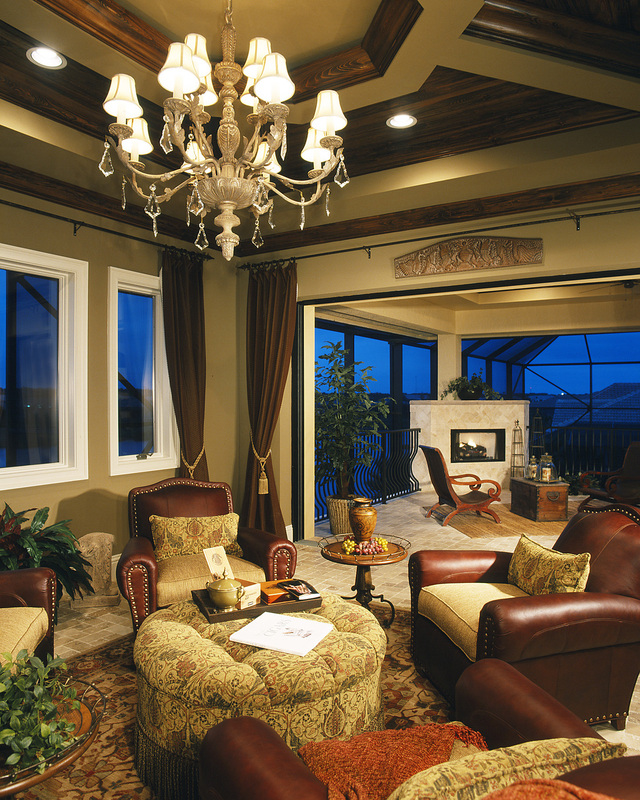 The floor plan offers a unique living space with ten foot sliding glass doors in the great room opening to the rear veranda. Through French doors, the dining room captures the same picturesque rear veranda views as the great room, a truly unique and rare feature of this home. 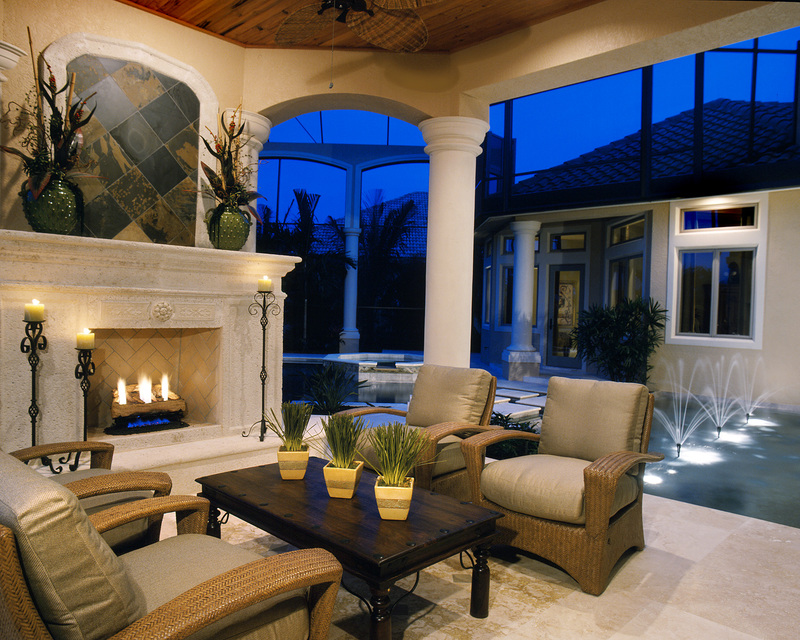 The classic, casual elegance of this home is showcased in the outdoor living room complete with fireplace and television. 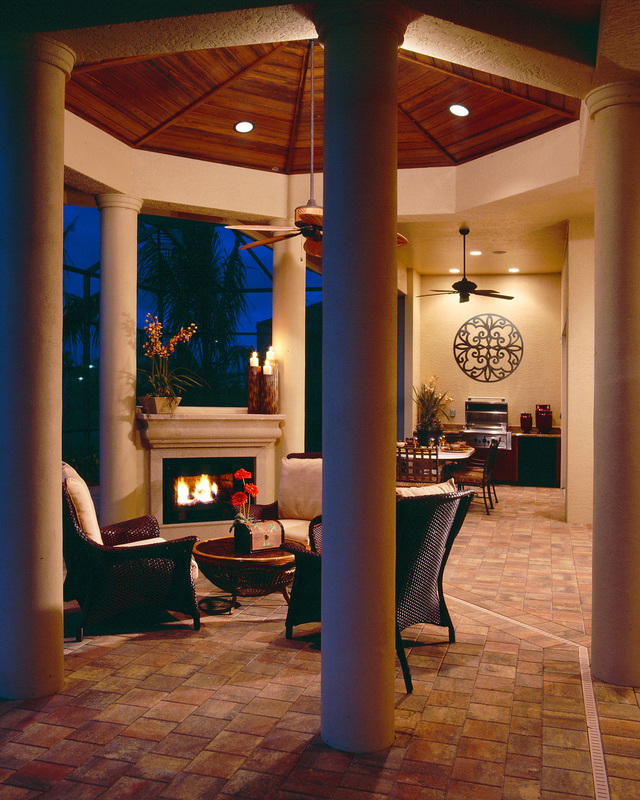 Just steps away are the gazebo with outdoor kitchen and bar making entertaining your top priority. 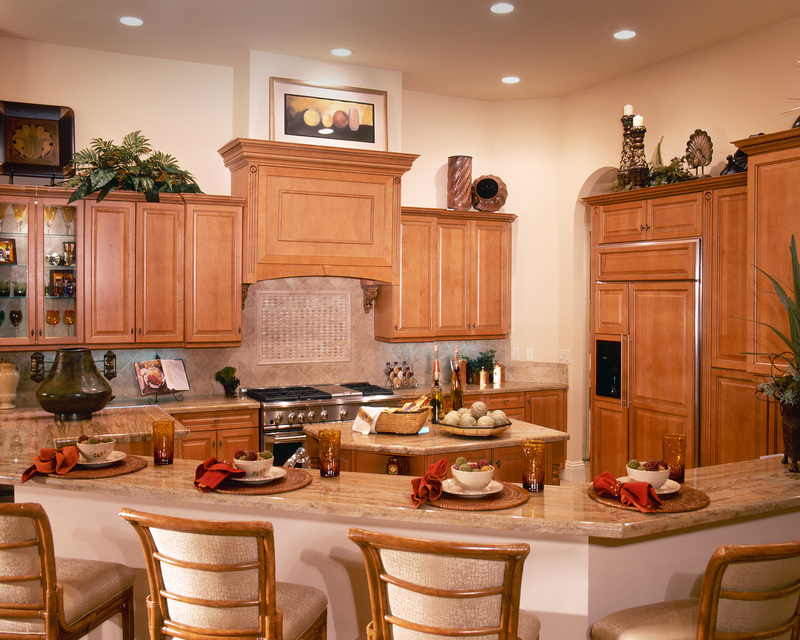 The raised breakfast bar separates the kitchen from the great room and dining area and offers cafe-styled seating. The kitchen has a walk in pantry, center food preparation island, wine enthusiast area with wine cooler, stainless steel oven tower and five burner gas cooktop. Just past the kitchen across from an oversized laundry room is a built in desk area. 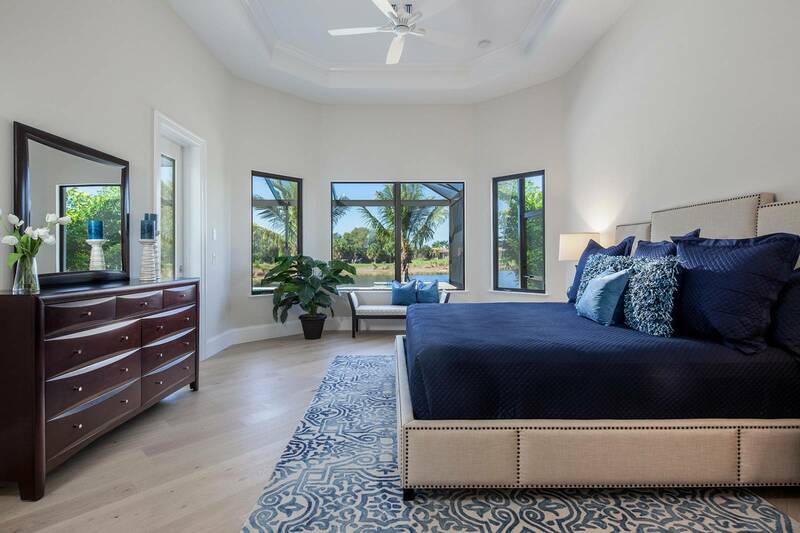 The large master suite displays inviting pool views through mitered bay windows and a glass French door provides private access to the covered verandah. The master bath is appointed with dual vanities, soaking tub and sizable walk-in shower containing dual shower heads and controls. 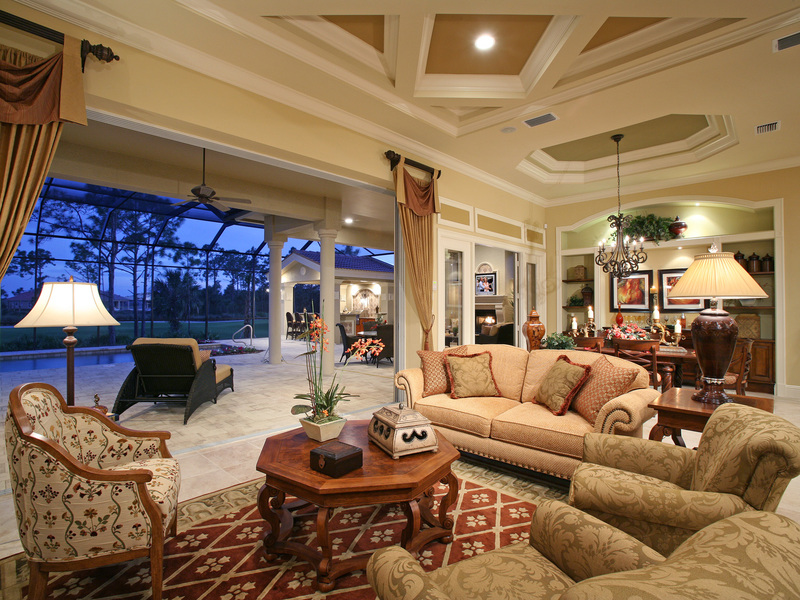 This home truly masters the great room concept for living and entertaining with its openness. The Grand Cayman has many features evoking charm everywhere you look. It has certainly proven to be the envy of the neighborhood. 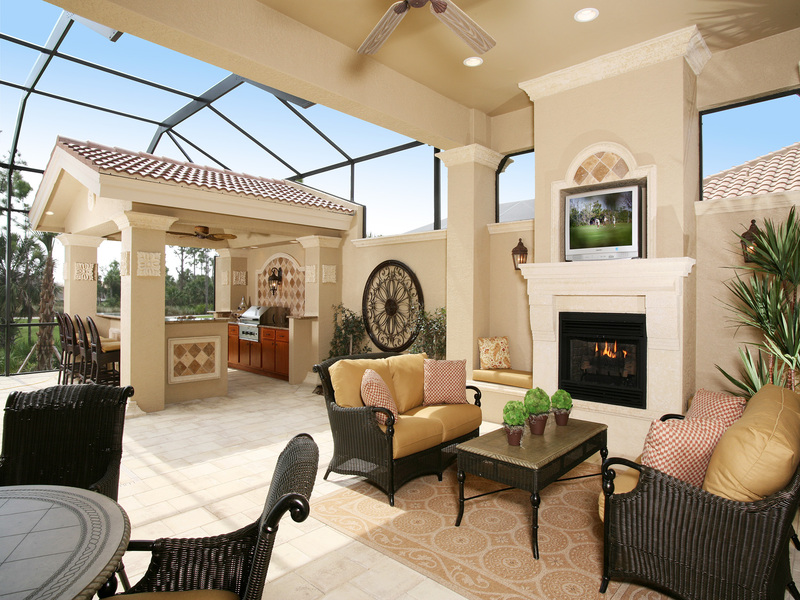 The Lucaya Cay Model is an elegant example of the finest in Florida living featuring a sophisticated Mediterranean style. This four-bedroom, four-and-a-half-bath home offers 3,842 square feet of living area. When including the outdoor spaces the total rounds out to 5,134 square feet. The thoughtfully designed reception area combines several unique features such as an inverted pyramid accentuating a spectacular view of the classically styled pool. 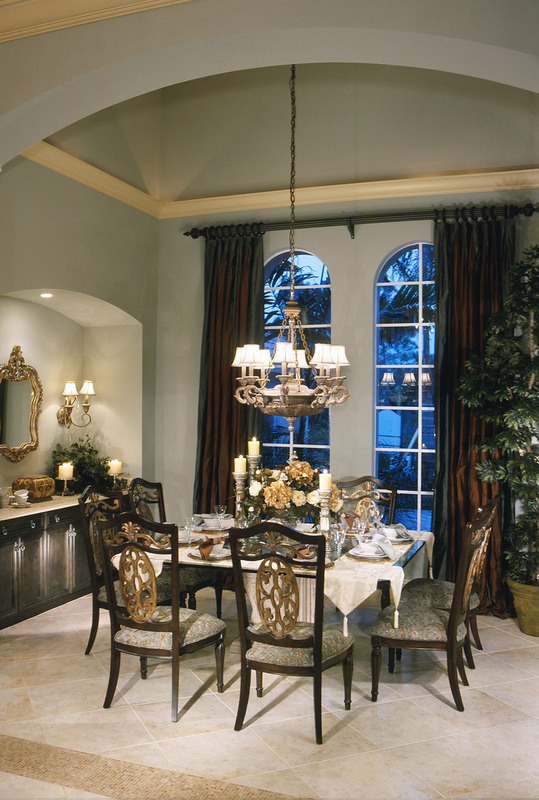 Architectural detailing distinguishes the dining room with expansive twenty foot ceilings and soaring arch top windows. The parlor highlights a custom stone fireplace nestled next to a vast mitered glass window giving way once more, to a wonderful view of the pool area. The immense master suite provides private elegance with an opulent master bath complete with a jetted Roman tub overlooking its own walled garden. 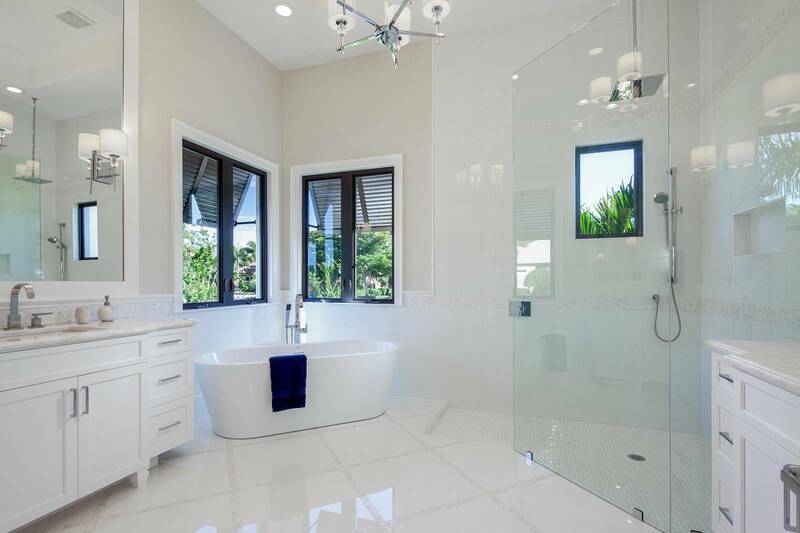 The master bath also reveals a sizable walk-in shower containing dual shower heads and controls. 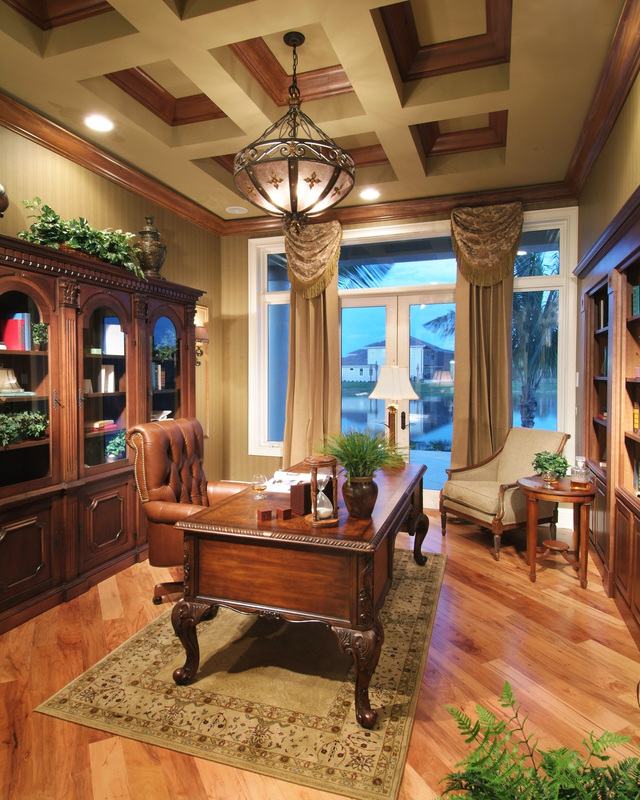 Being separate from the main living area, the study is truly the owner’s retreat, a perfect setting for the home office. 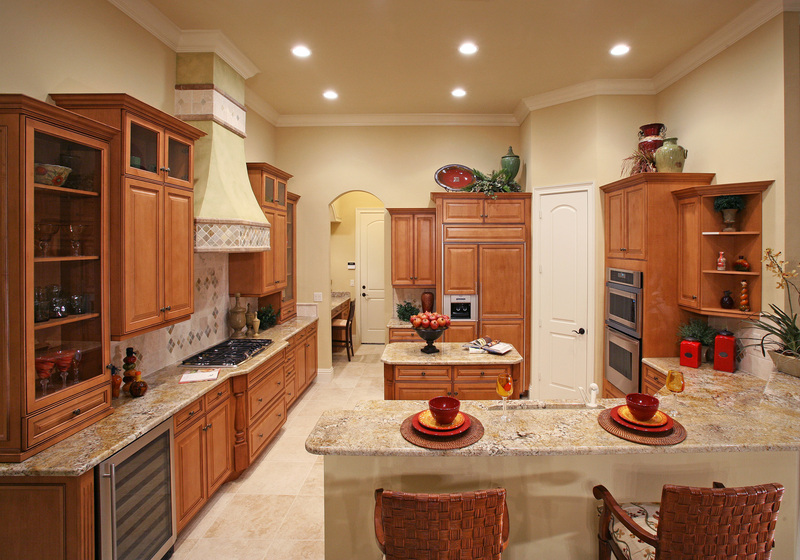 The leisure room, kitchen and nook are all open to each other revealing a spacious, casual and relaxed atmosphere. 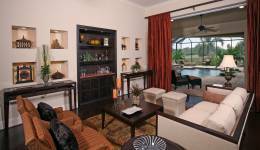 The leisure room opens out onto the veranda and pool area through 90-degree sliding glass doors. The pool has an updated classical feel with symmetry and shapes that are also integrated into the spa and bubbler fountain. 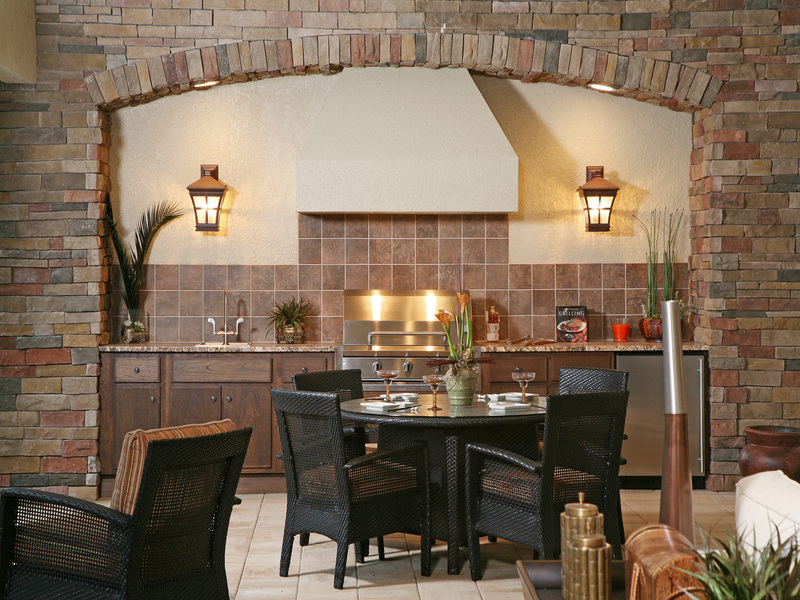 The model features an outdoor kitchen complete with a grill and mini refrigerator. Other notable areas are guest suites two and three with private baths, as well as a dramatic powder bath and an oversized laundry room. Separate from the other rooms, guest suite four is connected to its own bath that doubles as the pool bath. 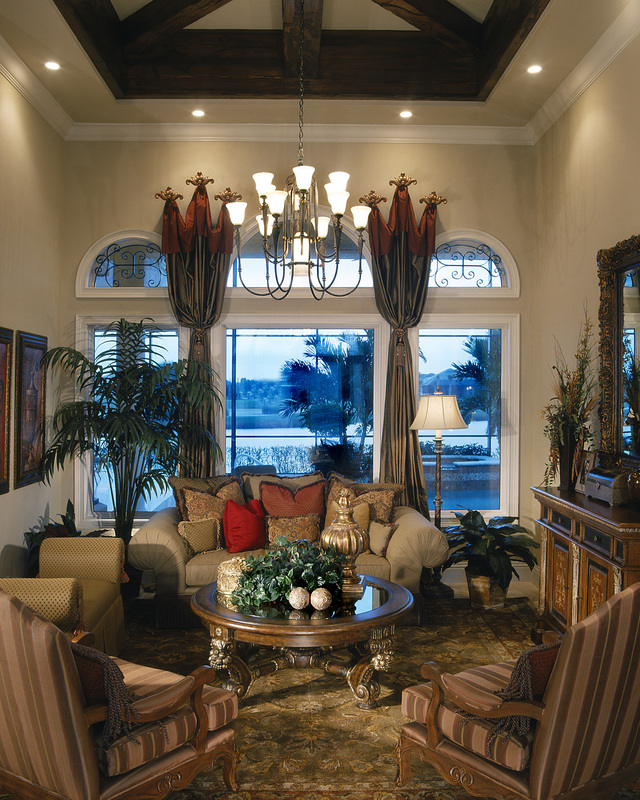 The attention to detail only adds to the beauty of the oversized rooms, high ceilings, and vast light-filled windows. 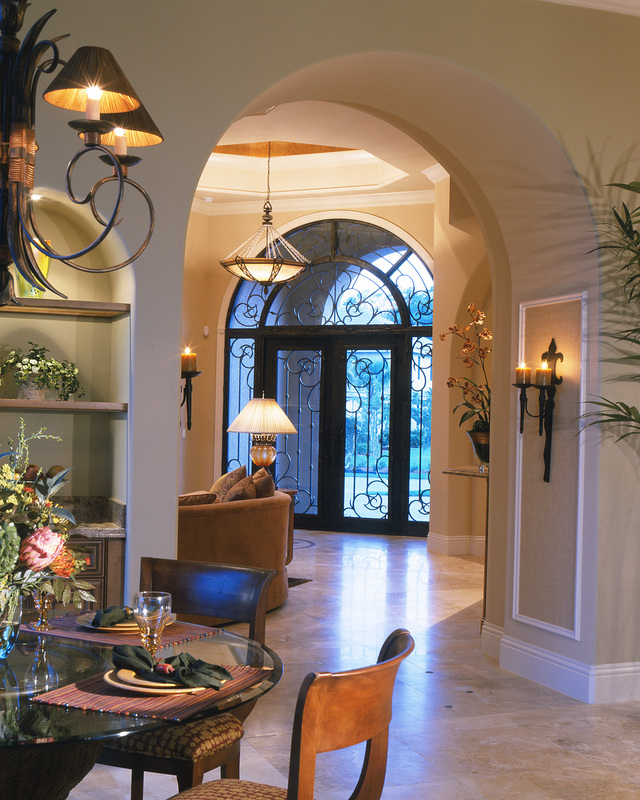 The Lucaya Cay emulates the best in elegant entertaining and relaxed living. 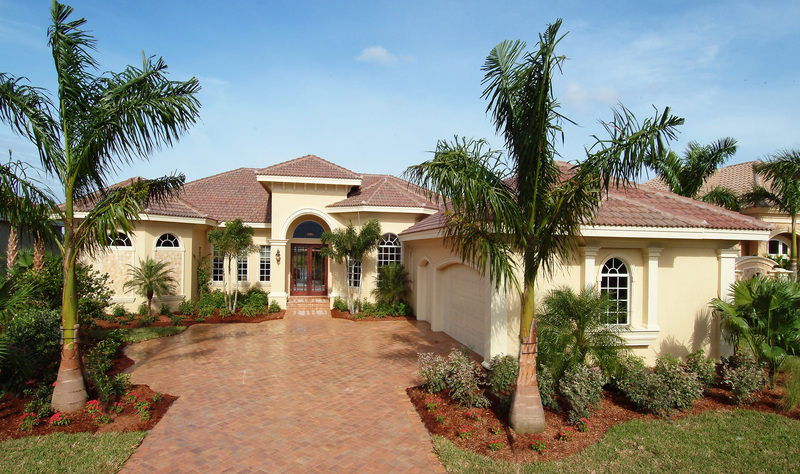 The Abaco Model is an impressive two-story residence with 6,227 total square feet, 3,993 square feet under air. Downstairs offers three bedroom suites with individual adjacent baths, a study, powder bath and grand living and dining rooms. Other features include a three-car garage, oversized lanai with summer kitchen, pool bath and a wet bar. 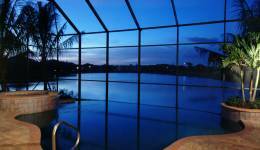 Upstairs is a spacious billiards room that opens to a large covered veranda overlooking the pool. 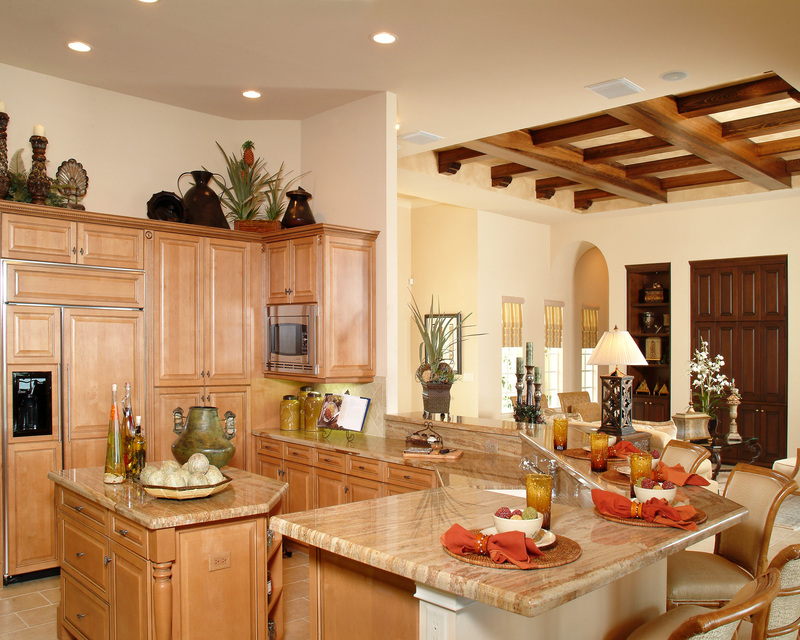 This expansive area features a wet bar, a large area for entertaining and a powder bath. The Master Suite and Bath offer almost 720 square feet of luxurious seclusion with access to the pool and spa. 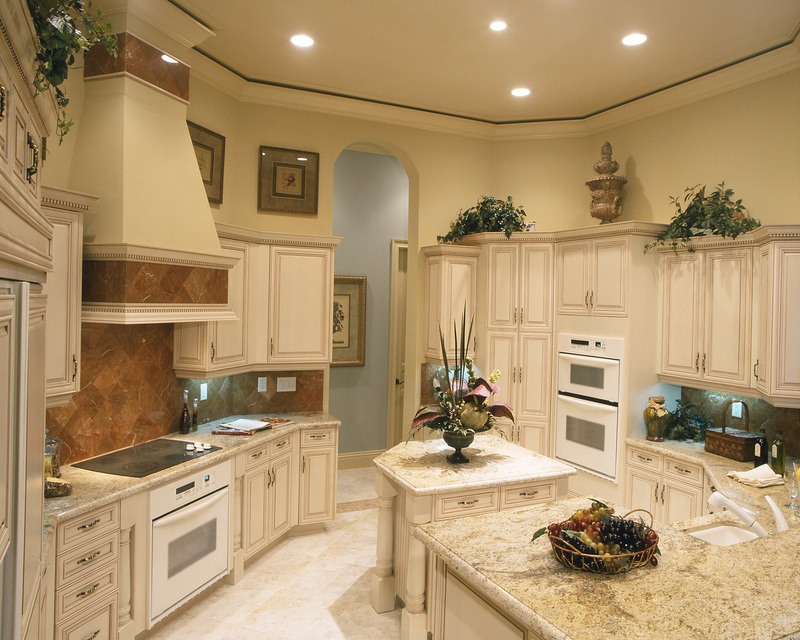 The kitchen incorporates commercial appliances with an abundance of cabinets and counter space, including a center food preparation island with prep sink. 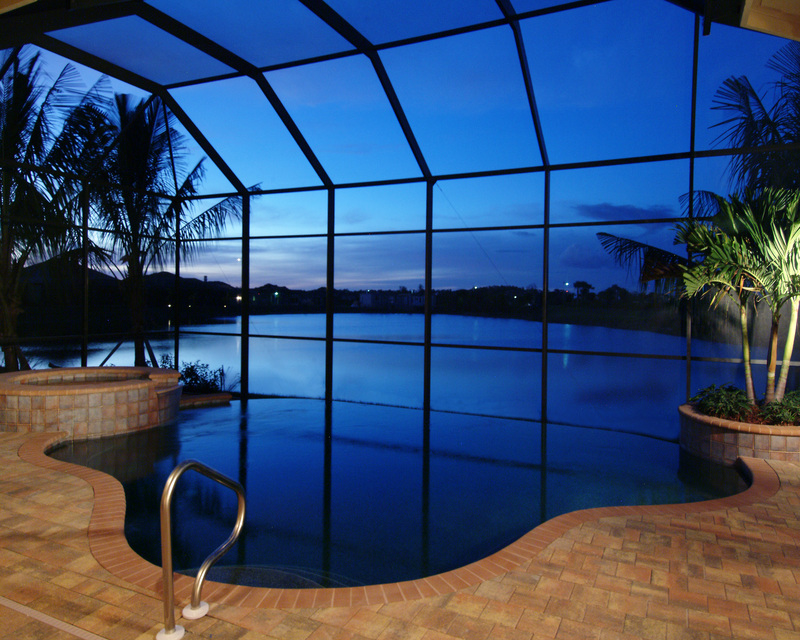 The great outdoors is brought inside with zero-corner sliding glass doors in the family room and mitered glass windows in the morning room both looking out onto the pool area. 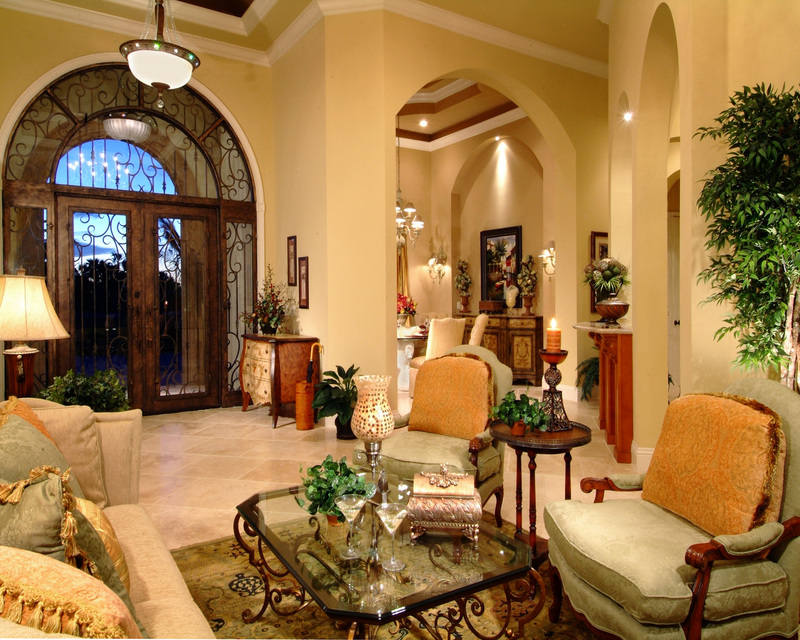 In keeping with the openness, high ceilings, arches and oversized vestibules are utilized throughout the home. 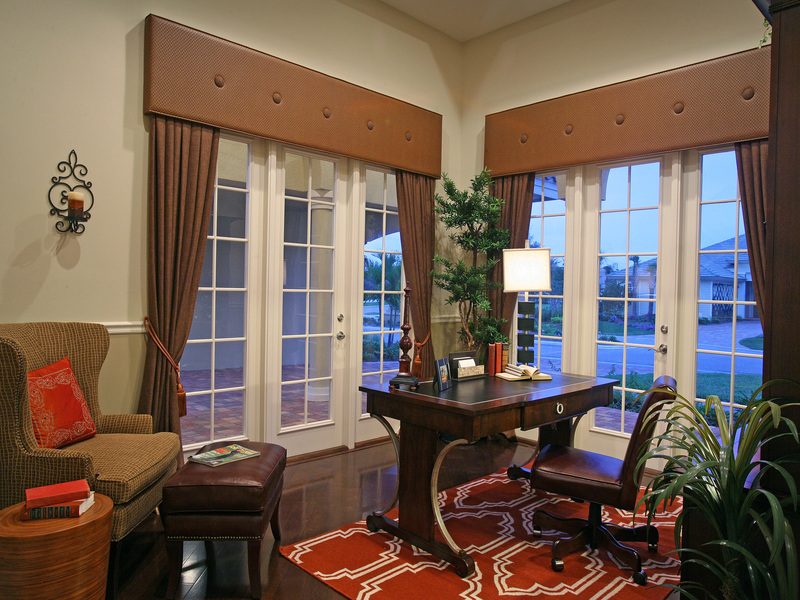 Magnificent custom details are displayed in every room. 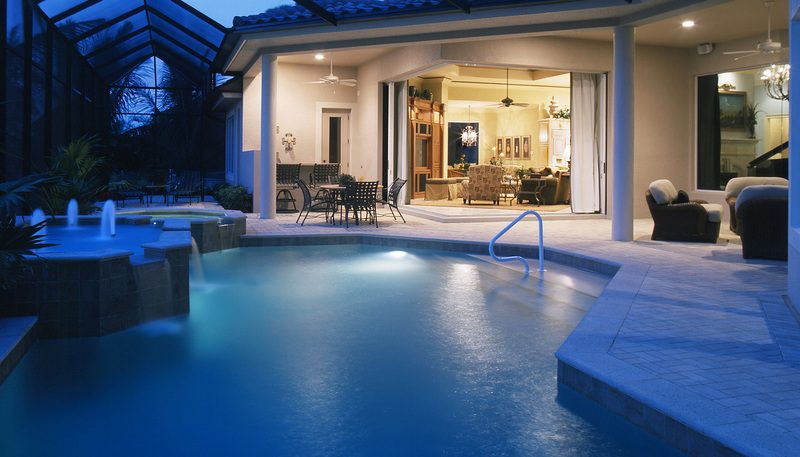 A custom-designed pool and spa provide the water-themed backdrop for many of the rooms in the Southern Cayman. This elegant three-bedroom, three-and-a-half-bath single-family home designed specifically to extenuate these views from most of its 2,740 square feet of living space which includes a great room, study and formal dining area. The Southern Cayman has just over 4,500 total square feet, including the entry porch, covered verandah and a side-loading three-car garage. 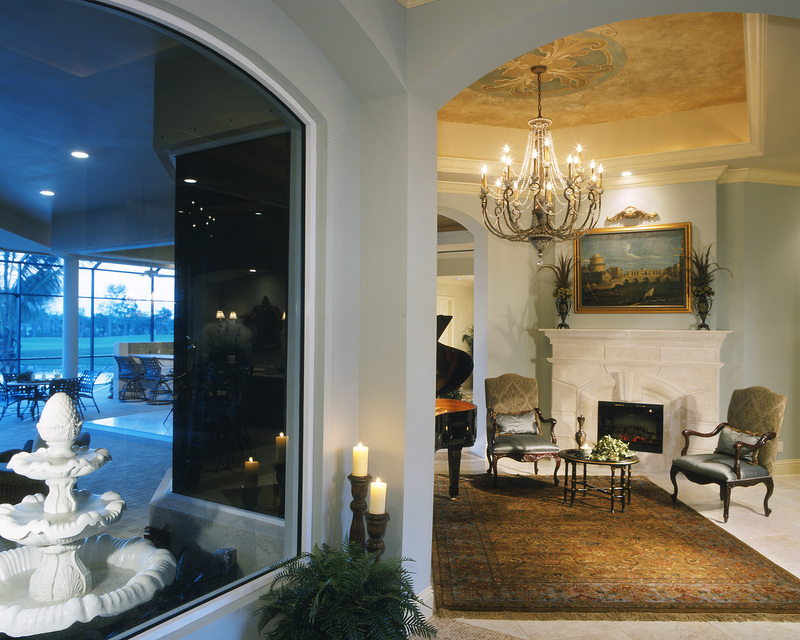 Double French entry doors, framed by sidelights open into the foyer, which directs the eye through the great room’s ten foot sliding glass doors to the water views. The Southern Cayman’s open floor plan blends the great room, its formal dining area and kitchen, defining each space with ceiling details. These rooms flow easily out to the expansive 765-square-foot covered verandah, which extends along the back of the home and offers a see-through fireplace and summer kitchen, equipped with a stainless steel gas grill, refrigerator and sink. The raised breakfast bar separates the kitchen from the great room and dining area and offers café-style seating and a double sink. 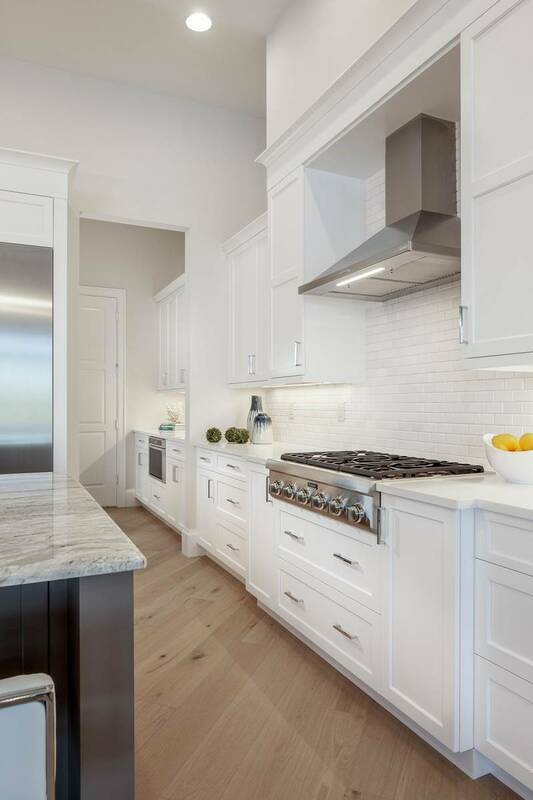 The kitchen has a walk-in pantry, paneled dishwasher and side-by-side refrigerator freezer, stainless steel oven tower and five-burner gas cooktop. 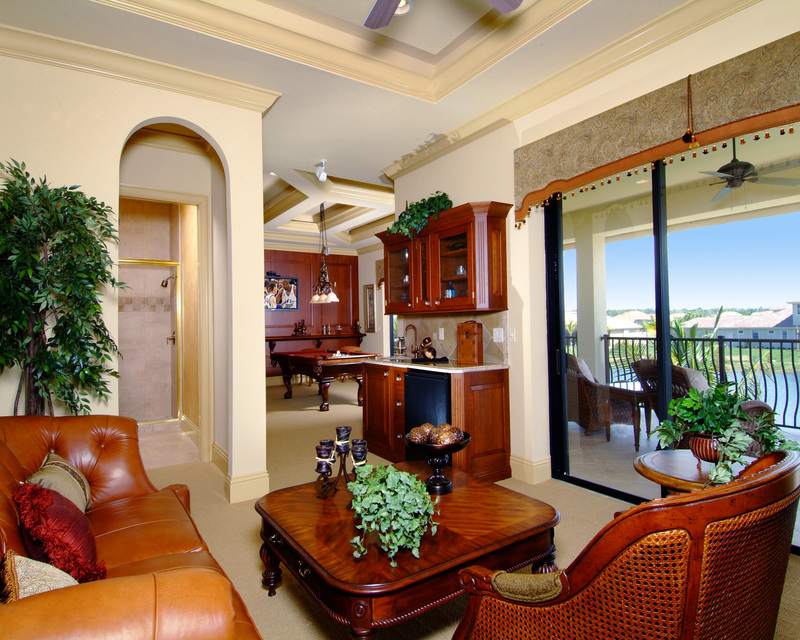 An archway between the nook and kitchen opens into a hallway that serves the two guest suites. Each of the guest suites features a private full bath; one also enjoys a walk-in closet and private access to the rear verandah which include views of the pool and infinity edge spa. 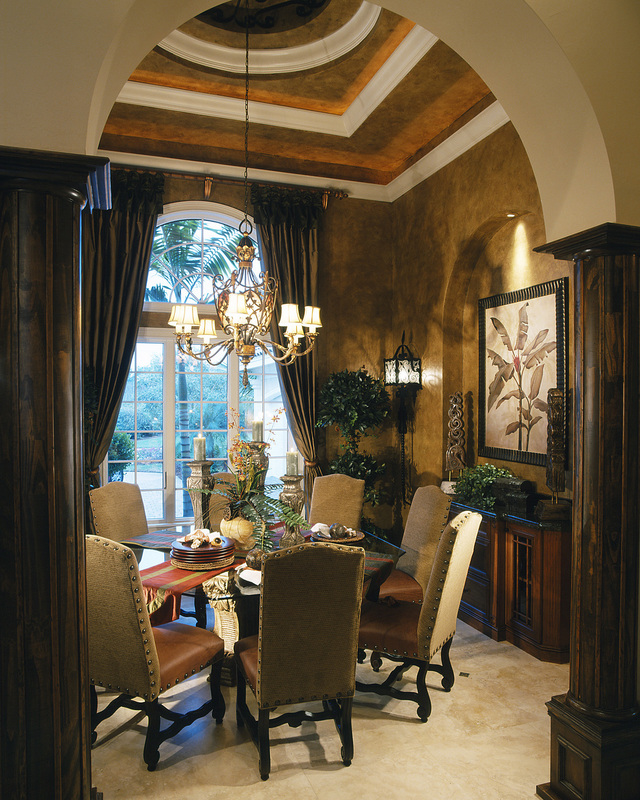 An arched opening from the great room opens into a vestibule with a tray ceiling leading to the powder room and master suite. Double doors open into the master suite’s vestibule which has an art niche and a tray ceiling with crown molding, linen closet and offers a choice of directions — right through an archway to the bedroom or left through double doors into the bath appointed with dual vanities, a water closet and separate tub and shower. Walk-in closets flank each side of the hallway leading to the bedroom, a space where a large window and two glass doors display inviting pool views also providing private access to the covered verandah.